Farming Simulator 17, the latest farming sim game from Swiss developer Giants Software, will be coming to PC, Xbox One, and PlayStation 4 this fall. Not only has the number of vehicles and equipment you can use in the game to tend to your farm been increased, so has the gender options for your farmer. 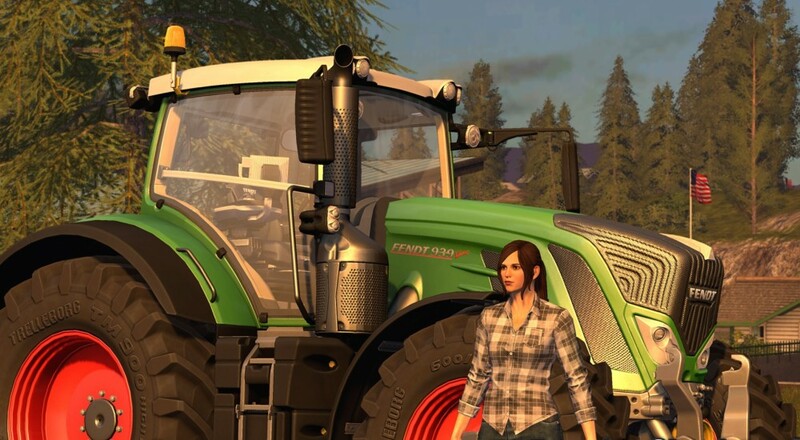 Along with the influx of new vehicles and customization options for your farm and farmer, user-created mods will be supported on the PC and console versions. This extension of user-created content to the console platforms has been a big talking point for some high-profile games, like Fallout 4, but it comes with something of an asterisk as many are waiting to see exactly how that gets implemented. Giants Software hasn't revealed too much about the nitty-gritty workings (e.g., will there be some kind of moderation, how will users on the console access these), but the title will be shown off at Gamescom in a couple weeks so hopefully more info will come out of that. Farming Simulator 17 will support up to 16 players online for the PC version, and 6 players online for the PlayStation 4 and Xbox One versions. All players work together to manage a farm by planting, tending, and harvesting crops, tend to livestock, and get all of that to market. It will release on all platforms simultaneously on October 25, 2016.